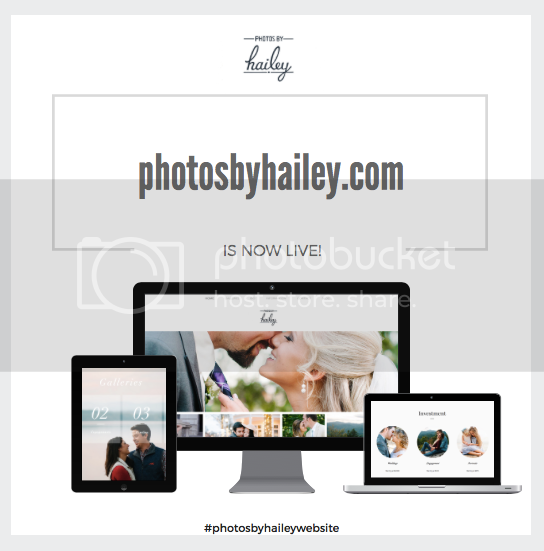 Photos by Hailey Blog: The New Website is LIVE! I won't waste time with a bunch of words on this blog post, because I just want everyone to see the new website! Head over to photosbyhailey.com and check it out! Also, just a reminder that this is the last day of the giveaway! If you've already taken the survey in this post you can get a second entry by sharing this photo to your Instagram or Facebook page! Make sure you use the hashtag #photosbyhaileywebsite so I can count your second entry! If you have a private page, comment to let me know that you've shared it! Thank you to everyone who has participated! It's made this website launch a whole lot of fun!